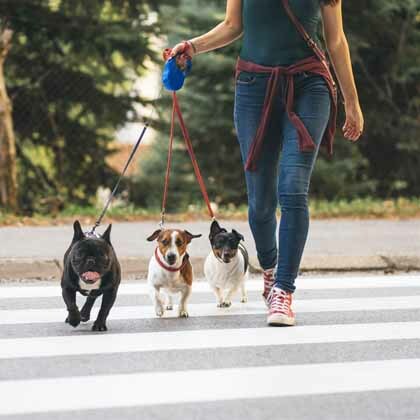 Have you ever felt like your dog or cat isn’t just a pet, but part of the family? Us too! That’s why we’ve rounded up some fun (and smart) pet furniture ideas you can seamlessly incorporate into your home. Let’s take a look. Who says pet furniture has to be an eyesore? These days there are so many great options to buy or DIY that it doesn’t have to be that way. 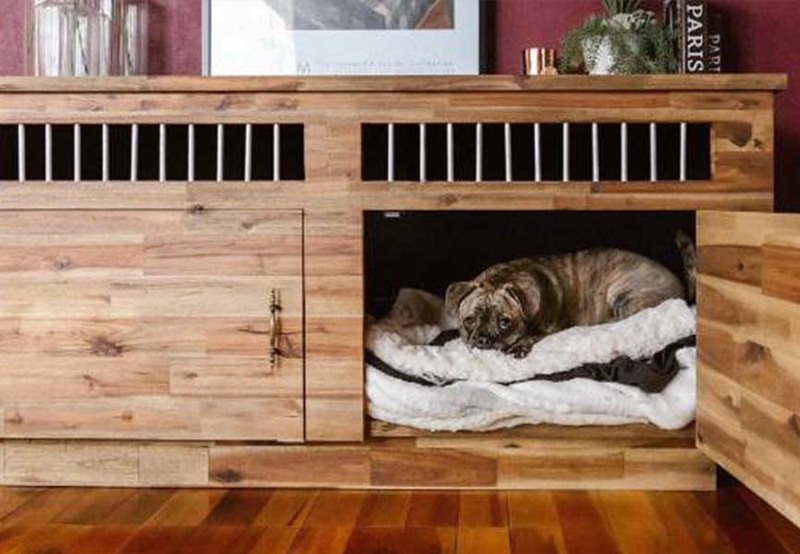 In fact, blogger Annalee Muggeridge claims her favourite piece of furniture is a little house her fiancé built out of a hollow wooden cabinet that disguises her dog’s bed inside. “You would never ever guess it was where he sleeps at night, it’s so beautifully made and it blends perfectly among the rest of our furniture.” You could also get creative with your pet's bed, like replacing the standard pillow-bed with a teepee bed. How fun is that? It’s easier than you think to blend your pet furniture in with regular, every day décor wherever you can. Check out these 13 unbelievably cool dog crate hacks for some inspiration. For perhaps a more economical option, leave it to IKEA to come up with the most stylish and wallet-friendly solution on the market. 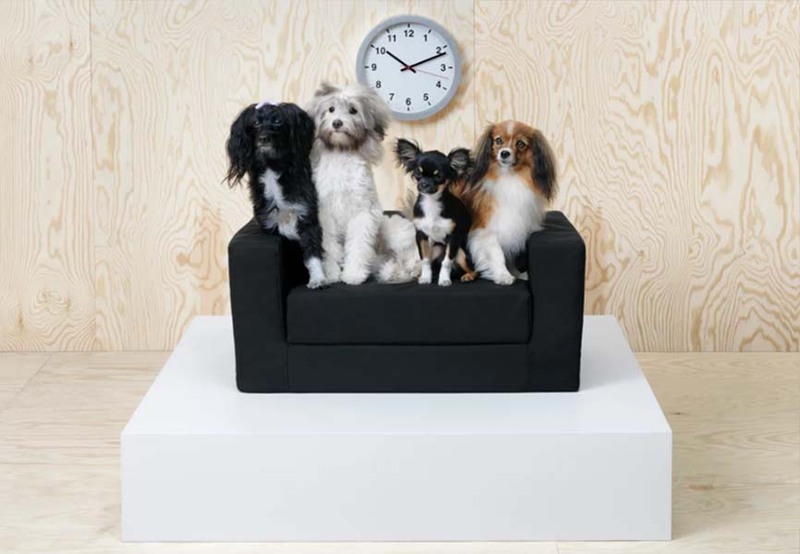 Last fall, the company introduced its new line of pet furniture, Lurvig (which means “hairy” or “shaggy” in Swedish). The collection features items like dog beds and cat-scratch mats, and also turns popular IKEA pieces you may already own into hideaways for your furry friends. Bonus: You can also pick up every day pet items like carriers, brushes, bowls and leashes. We lurv it! If you’d rather get creative, there are plenty of DIY pet furniture options. We love Pinterest for a whole lot of things, and this is one of them. A quick search of “pet furniture DIY” will bring up a whole whack of great ideas, including these brilliant home projects for cat lovers or creative dog beds from DIY Joy. Who knows, maybe you’ll get so good at pet furniture DIY that you’ll be able to make your own business out of it? That’s what the couple who started Catastrophic Creations did! Discouraged by generic looking cat trees, Mike and Megan decided to take matters into their own hands. 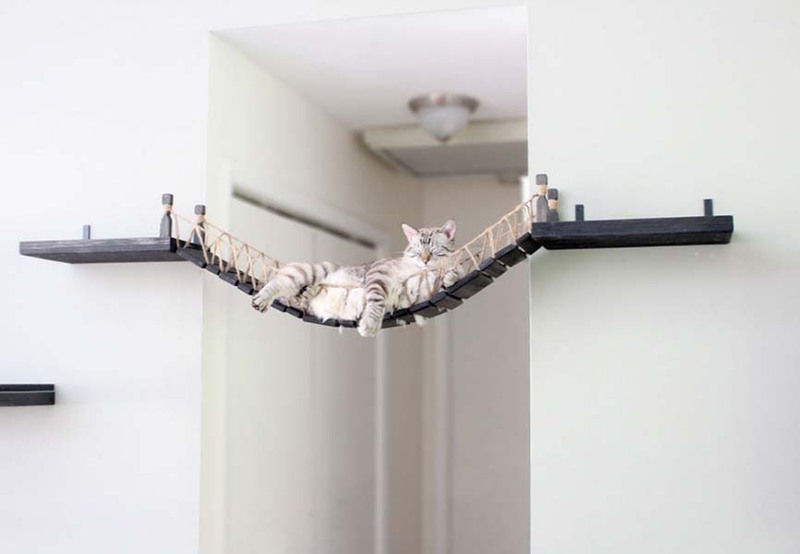 Together they created the furniture company responsible for these Indiana Jones-style rope bridges for cats. Can you say ah-dor-a-ble? 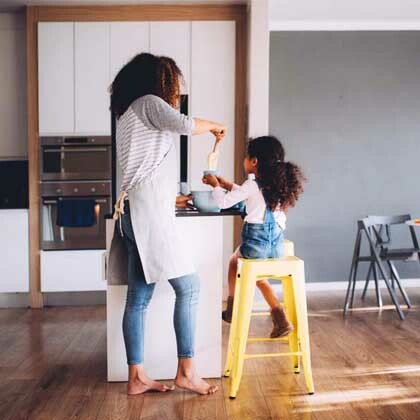 Whether it’s a big fluffy bed, a custom-made piece or a cheap and cheerful (but oh-so-functional) IKEA hack, one thing’s for certain: your furry family member deserves to feel just as comfortable in your home as you do.